Fitted Bedrooms in Wigan much like fitted bedrooms across the UK are one of the most convenient, stylish and space saving pieces of furniture in the home. In the 1950’s the fitted kitchen was a new and exciting luxury reserved only for the very well off and the uber fashion conscious, today the fitted kitchen is a staple of almost every home. Fitted bedrooms however have gone in and out of favour over the years with home owners sometimes opting for free-standing furniture, then learning that fitted bedroom furniture offers so much more. Fitted bedrooms share many of the same features and benefits as the fitted kitchen. Both maximise the use of space, not only with the way fitted furniture can be custom built to suit any space but also with the array of additional space-saving features that can be built in. Fitted bedrooms benefit from being able to have sliding doors, pull out racks, concealed draws, shoe racks, bespoke hanging solutions you name it there’s a solution for every need. Of course the bedroom is a lot different to the kitchen but it still has to work equally as hard in a different way. In today’s smaller homes space is at a premium so the bedroom has to fill many needs, bedrooms have to be tranquil spaces for sleep and relaxation, but also sometimes double up as a place to watch a movie or study. All of these needs can be easily designed in to a fitted bedroom. 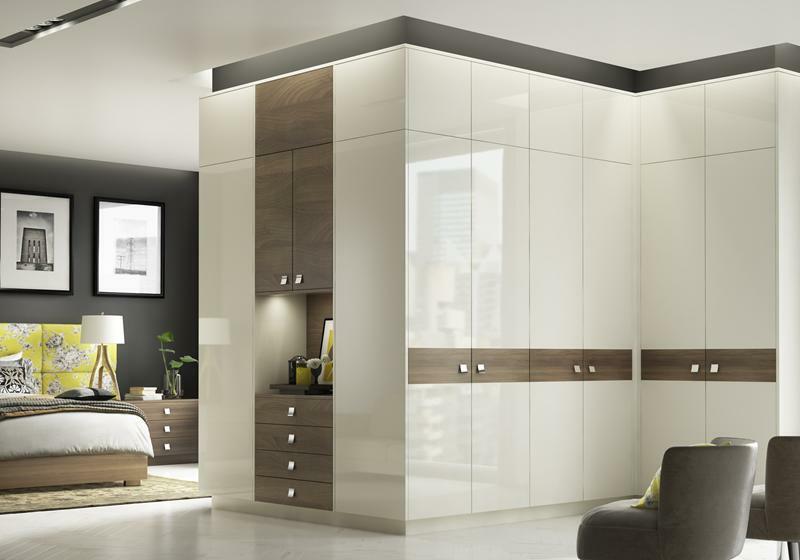 At Arley Cabinets of Wigan we have designed, manufactured and installed hundreds of fitted bedrooms in Wigan and surrounding area. Why not contact us today our team of master craftsmen can build the perfect fitted bedroom to your exact specifications.